How about you? | Only at His Feet! I have been so needy the past couple of weeks. I have felt as if there was something just beyond my reach that would help me see many things in a new and different light. A much better perspective. Just plain – dry and thirsty! The water I need is flowing from the heart of God. It is a fountain which will never dry up. I can drink from this fountain freely because I am His child. This fountain is the Lord, Jesus Christ! We are all poor and needy at some time in our lives. We could be going through a particularly difficult situation, burned out with life, or just not know which way to turn on the road we’re traveling. God will hear our cry! He will not forsake us – but we do have to cry out to Him. We have to become desperate for Him. We have to seek His face and talk to Him continually. Jesus does not get tired of hearing from us. Guess what? There is nothing to big OR to small that He does not want to be involved in. He is our Father. 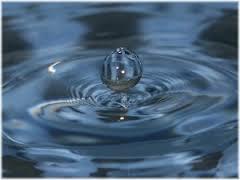 My prayer is that I always remember where to go when I become needy…that I drink from the fountain of Christ all the time…that I become a living witness to what the ‘water’ of Christ can do for this world. How about you? I have been trying to lose a few pounds. I have been watching what I eat, trying to eat better and less and drinking more water. I have also started walking – preparing to run again. 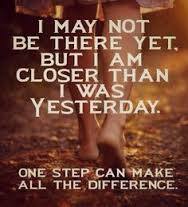 One day last week I stepped on the scales and discovered I wasn’t making much progress. I thought to myself…I’m going to just quit trying. It didn’t do any good so why bother. Then the Lord brought this scripture to my mind. My trying to get healthier is a process not a one day, one week deal. So I must have faith that what I am doing will bring the results I want eventually. One look at the scales does not mean things aren’t changing for the better. That applies to our spiritual life as well. Just because we can’t see everything the Lord is doing in us and around us does not mean that changes are not taking place. We just have to keep walking with Him. We have to keep our focus on who He is and not worry about what we see or don’t see. He will be in control of our lives if we let Him. When Jesus is in control of our lives…all things will be better than just OK…they will be awesome. My prayer is that my walk and life are controlled by Jesus…that I not worry about what I can and cannot see but focus on the hope I have in Christ…that people around me know Who it is I walk with. How about you?